European River Cruises - The Romantic Danube River Cruise on the MS Amaserena. 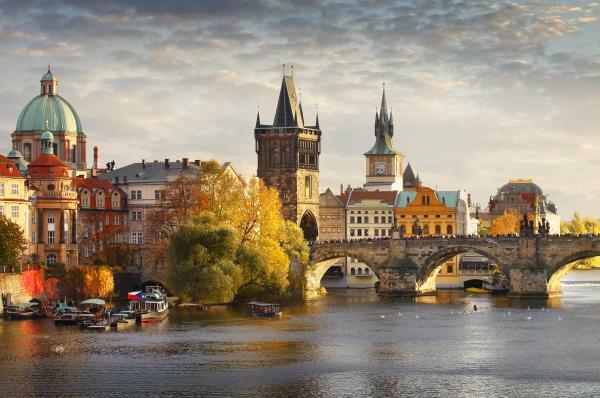 Travel to legendary destinations on this European river cruise and land tour, beginning with a 3-night stay in majestic Prague followed by 8 days cruising from Vilshofen to Budapest. 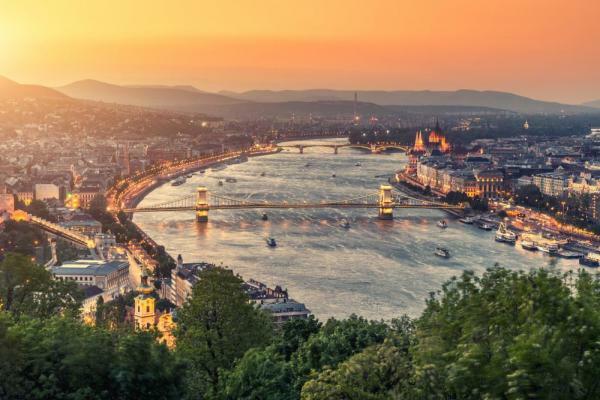 Explore a 2,000-year-old city, wander along the banks of the Vltava River, enjoy a wine tasting at a local winery, and experience the timeless beauty and fascinating history of Vienna and Budapest. This morning, choose between a standard city tour and a hike. Both reveal why Prague is considered one of Europe’s most attractive cities, with a historic city center that’s recognized as a UNESCO World Heritage Site. See Rudolfinum, the National Museum, Wenceslas Square and the Hundertwasser Dancing House. Next, visit the 1,000 year-old Prague Castle and St. Vitus before walking over the romantic Charles Bridge to the Old Market Square, where you can find the capital’s famous Astronomical Clock, Tyn Church and the statue of Jan Husek. The rest of the day is at your leisure, perhaps to enjoy yourself in one of the city’s many charming cafés. 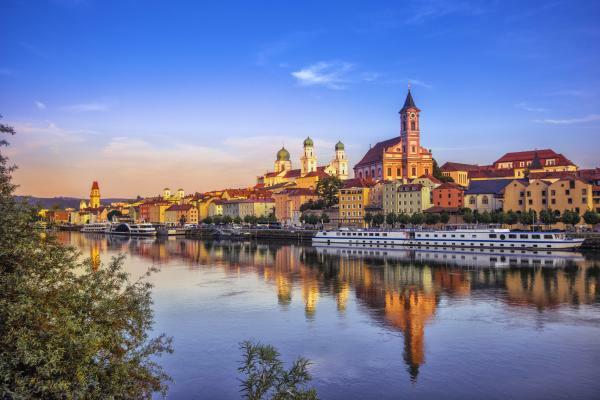 Check out of your hotel and depart Prague, stopping in Regensburg for a guided walking tour of one of Germany’s best preserved medieval cities. Continue on to Vilshofen to board your cruise ship. Later in the day, attend an exclusive Oktoberfest celebration with traditional beer and Bavarian folk music and dancing, and afterwards enjoy a welcome aboard wine toast. The ship arrives in Linz where you have several choices of excursions. Opt for a full-day excursion to Salzburg where you can tour the historic center, Mirabell Gardens, Residenz Square and the Old Market. En route to Salzburg, stop at Mondsee, home of the famed Basilica St. Michael and site of the wedding scene in “The Sound of Music.” Alternatively, you can join a morning walking tour through Linz's old city center and by the Mozart House; or go on a guided bike tour along the city’s famed “Culture Mile” and the Danube. During the afternoon, you have three more options of excursions. Choose a half-day in Salzburg or take a scenic drive through the beautiful Austrian Lake District with a stop in St. Wolfgang. You can also choose to visit the charming mountain town, Český Krumlov, located just over the Czech-Austrian border. Cruise to Weissenkirchen, gateway to Dürnstein located in the heart of the Wachau Valley. Once here, you can choose to join a walking tour in Dürnstein along its cobblestone streets to the Baroque Stiftskirche, Dürnstein’s famed church tower, and savor a tasting of the region’s renowned wines. Or for the more active adventurer, hike up to the fortress where Richard the Lionheart was once held. 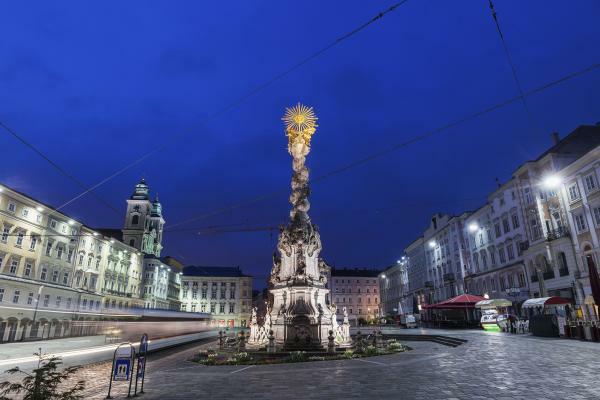 This morning savor the Baroque elegance of romantic Vienna through your choice of one of three different excursions. The first option is a panoramic tour of Vienna that guides you past the majestic Opera House, the former Imperial Palace of the Habsburg Emperors, Parliament, Town Hall and Vienna University. Afterwards, visit Vienna’s historic city center, a UNESCO World Heritage Site, and see St. Stephen’s Cathedral, Graben and the world famous Spanish Riding School. The second option is a walking tour of Vienna’s hidden treasures that takes you to secret places and sights like Ankeruhr, a whimsical Art Nouveau clock. Your third option is a guided bike tour along the Danube and through the Donaupark. This afternoon, you can join a guided bike ride to Klosterneuburg Monastery, or explore at your leisure. Be sure to sample some Viennese coffee and pastries. Enjoy a scenic morning cruise to Bratislava, where you have three choices of excursions. The first is a walking tour that includes the Old Town Hall, Mirbach Palace and St. Martin’s Cathedral. The second is a Slovakian Specialties tasting where you can enjoy a welcome glass of sparkling wine, sample a creamy soup made from sheep's cheese and learn how to prepare stuffed potato ravioli. Finally, you can also join a hike up to Bratislava Castle, which includes visits to the Castle Upper Terrace and Court of Honor. The remainder of the day is free to explore on your own. 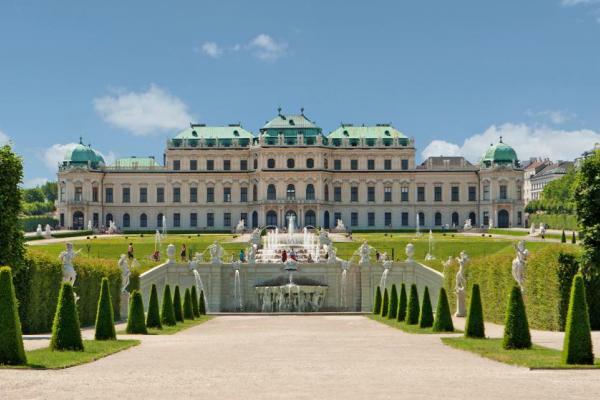 Experience the regal elegance of Vienna with one of three different excursions. Join a city tour that takes you by the majestic Opera House and the former Imperial Palace of the Habsburg Emperors. Afterwards, visit Vienna’s historic city center, a UNESCO World Heritage Site, and see St. Stephen’s Cathedral and the world famous Spanish Riding School. 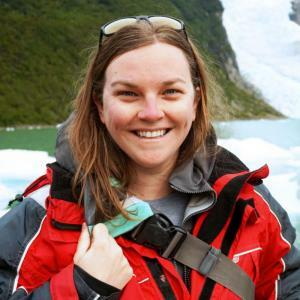 Alternatively, join an exclusive tour to a famous Viennese café for a taste of sachetorte, a sinfully rich chocolate cake, and sekt, an Austrian sparkling wine. For those who prefer to get more active, you can cycle along the Danube and through the Donaupark. During the afternoon, enjoy free time or bike to the majestic twelfth-century Klosterneuburg Monastery. Your morning excursion includes sightseeing in the cities of Buda and Pest spread over both banks of the river. See famed Heroes’ Square and Castle Hill, home to Fisherman’s Bastion, Matthias Church and spectacular views of the Danube. Alternatively, you may also opt to join a hike up to Castle Hill on which you can see Buda Castle, Fisherman’s Bastion and Parliament Square. After dinner, the ship sails a special Illuminations Cruise past the glittering riverfront of Budapest. - Transfer from hotel in Munich to Vilshofen with a visit to BMW World Museum or Nymphenburg Palace.